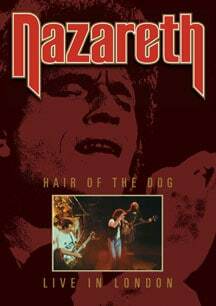 Nazareth’s ‘Hair Of The Dog: Live From London’ DVD is a riveting performance from the London leg of one of the band’s many UK tours from the early 1980s. Nazareth is one of the legendary acts to emerge from the 1970’s progressive and hard rock scenes – a name recognized and loved all around the world. The band were formed in the late 1960’s but only began to enjoy success in the mid-1970’s, when their “Razamanaz” album spawned two top ten UK singles “Broken Down Angel” and “Bad Bad Boy”. It was 1975′ “Hair Of The Dog” album that broke the band as an international success, selling over a million copies in the US – the single “Love Hurts” was a US chart top ten hit. The band went on to establish themselves in the vanguard of rock with a series of classic albums throughout the late 70’s and early 80’s. This DVD, due June 6th from Cherry Red, captures a full show from the London leg of one of the band’s many UK tours from the early 1980’s. 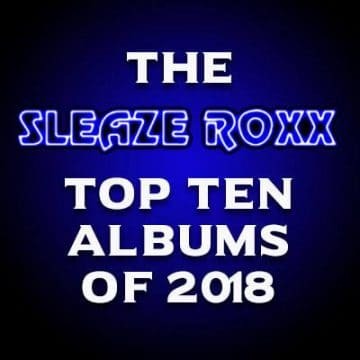 Nazareth are still actively touring the world and releasing new material – latest album “The Newz” was released only last year – lapped up by their ever loyal fanbase.